Please Note: The Zavio P5210 is no longer manufactured and has been replaced by the Zavio P6210. The Zavio P5210 is an HD pan tilt network camera with a recording resolution of 1920 x 1080 at up to 30 frames per second (Sample Video). The 2 megapixel, 1/2.7" progressive scan CMOS image sensor provides the camera with a 77 degree horizontal angle of view. 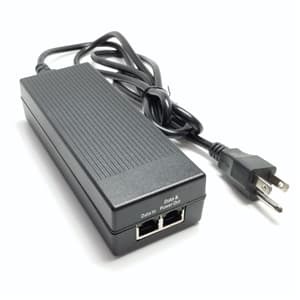 The Zavio P5210 can be powered by using the included 12V-DC power adapter or by PoE (Power over Ethernet) 802.3af. 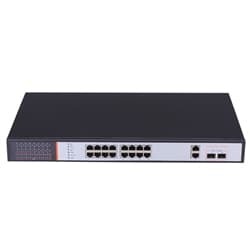 The PoE option allows both video and power to be run over one Cat-5 cable. In the event that the camera's network goes down, a Micro SD card slot is available for recording. The P5210 has a low light lux rating of 0.2 in color mode and 0 lux (Total Darkness) with the infrared LED's activated. The Infrared LED's have an effective range of up to 10 meters / 30 feet. The motorized mechanics of the camera give it a 354 degree pan range and a 125 degree tilt range. Note: This is a pan and tilt camera, not a PTZ (Pan, Tilt and Zoom). The Zavio P5210 camera is compatible for live remote viewing from both Windows and Mac computers. From Windows, the Internet Explorer web browser is used and from Macintosh computers, the Safari web browser is used. In addition to Internet Explorer and Safari, the Zavio P5210 also supports Mozilla Firefox browsers. Mac users, please read this before purchasing. Click here to watch a remote camera viewing video demonstration using a similar Zavio megapixel camera (Zavio F3106). Remote iPhone and iPad access is supported using the Free iCamViewer app. Click here to watch a video of the iPhone app. 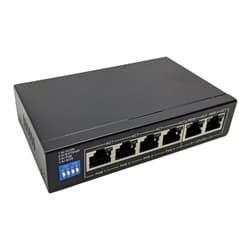 This camera includes the following in the box: mounting bracket for desktop, wall or ceiling mount, power supply, software CD, and network cable. 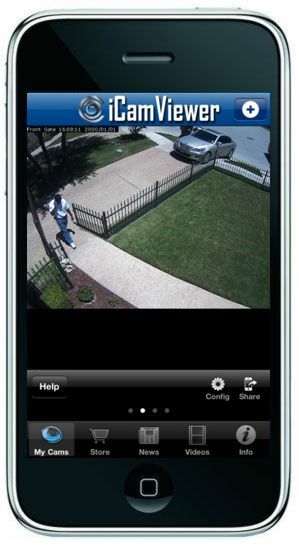 Click to see additional remote monitoring images using Zavio cameras. Zavio cameras now include the a 64 channel NVR software license for free. The name of the IP camera software is the CamGraba. This Zavio NVR software is compatible with all Zavio camera models and runs on Windows based computers. The new CamGraba software allows 4 cameras to be remotely viewed simultaneously. Some additional features are: motion detection and schedule recording, supports H.264 / MPEG-4 / MJPEG compression, multiple access levels with password protection, powerful search functions, enables remote access via the free CamGraba iPhone app. CamGraba iPhone and iPad apps coming soon. The Zavio P5210 is compatible with the Free iCamViewer app for network cameras. The Zavio P5210 supports live remote viewing over the Internet from a Mac computer, however, Zavio cameras can not record video directly to a Mac. For Macintosh users that are looking for a surveillance system that can also support recorded video playback from a Mac, we recommend using Zavio cameras with the NUUO NVR Titan recorder. It is highly recommended that Mac users read our Zavio IP camera FAQ for Mac before purchasing.